2.3 Conjugating verbs ending in "-eln"
2.4 Conjugation of verbs ending in "-ern"
4 Present Continuous. The particle "gerade"
Things that are independent of time such as physical laws, etc. For the normal conjugation the verb stem does not change for any of the persons and different endings are added depending on the person. "-d", "-t". as is the case with "bitten" (to ask), "arbeiten" (to work). hard consonant (b, ch, d, f, g, p, t) ) followed by "-n" or "-m" as is the case with "eröffnen" (to open something), rechnen (to calculate). An "–e-" is inserted between the stem and the ending so that pronunciation is easier. Verbs whose stems end in "–s", "-z", "-x" or "-ß" lose an "–s" in the second person. For example, the verb "sitzen" (to sit) in the second person would have to be "sitzst" but this is impossible to pronounce. That is why it loses an s and ends ups simply as "sitzt". Conjugating verbs ending in "-eln"
Conjugation of verbs ending in "-ern"
Verbs ending in "–ern" such as "ändern" (change), like the previous case of verbs ending in "–eln", form the 1st person and the 3rd person plural with "–n" instead of "-en". A common error (among Germans) is to write this contraction with an apostrophe: "ich leb’" or "ich hab’". Present Continuous. 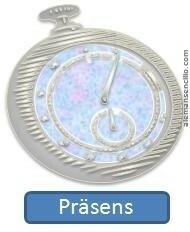 The particle "gerade"
In German the present continuous tense is formed with the particle "gerade". This particle makes the action sound like it is taking place at this very moment. "Gerade" is the equivalent of the gerund form in English. There is an important difference. The first phrase means that even though I am studying German, I am not necessarily doing it right now. The second phrase means that I am studying German now. The present passive’s structure consists of [ werden conjugated in the present] + Partizip II. A nice song follows from die Prinzen: "Deutschland".